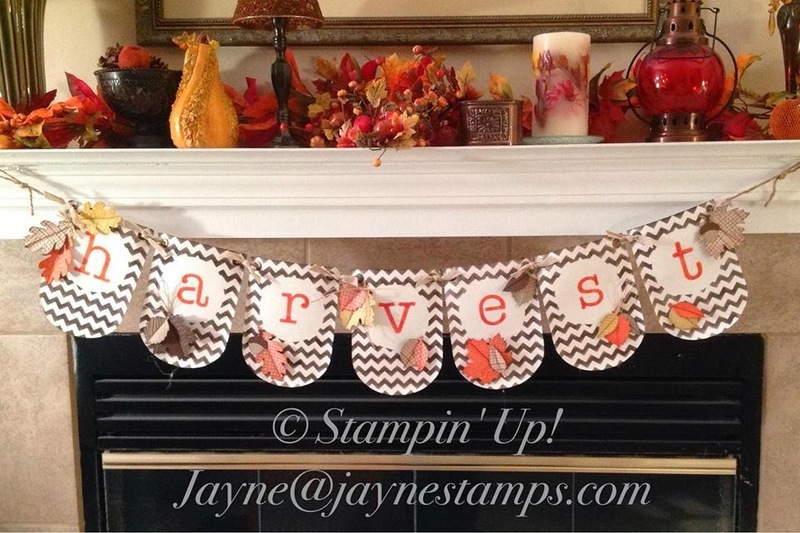 Have you seen the Build a Banner Simply Created Kit in the Holiday catalog? I have been working off and on to complete a "Winter" banner, but I also wanted to make one that I could put up now for Fall and Thanksgiving. I searched on-line for ideas and inspiration. I wanted something that wasn't too busy because I didn't want it to compete with my mantel decorations. I'm quite pleased with how it turned out. 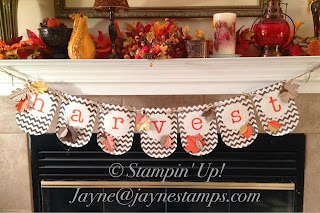 I think I'll be getting some more of the Banner Simply Created Kits so I can make more of these for the other seasons!